Reduce bending with these sustainably sourced, tanalised timber bases suitable for 4ft freestanding frames. Includes slatted staging for pots to stand on. 4ft (1.27m) freestanding raised timber base. The slatted staging for plants is in two sections which lifts out to provide storage beneath. You also then have the option of removing the staging and using the base to grow salad crops or vegetables etc if you fill the base with soil. NB. 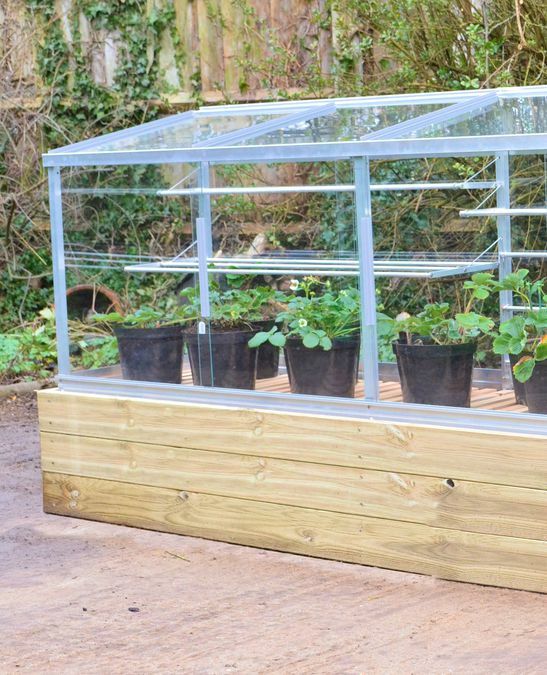 BASE & SLATS ONLY – Aluminium 4ft Half Growhouse needs ordering separately.